Roberto Pulido performs at St. Anne Church’s Jamaica in 2014. This week, we’re going to have a round-up of some of the most anticipated Tejano, conjunto, and cultural events of the month of October, and two updates regarding previous stories. 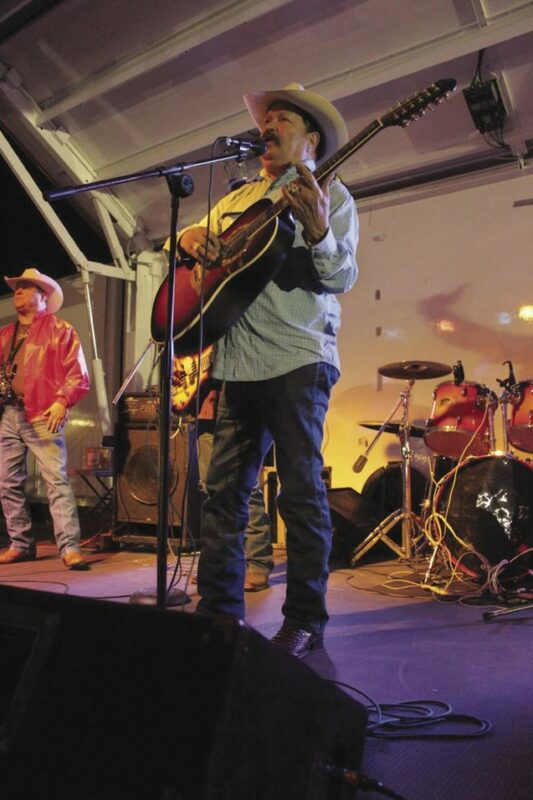 >> South Texas conjunto legend Pepe Maldonado has lined up the month of October with another quality list of top conjunto acts from the Valley and beyond. Thanks to Joe Maldonado for reaching out and always letting me know the upcoming schedule. These are the following acts scheduled for this month of October: Roberto Pulido y Los Clasicos (Oct. 1), Los Nuevo Chachos de Jesse Gomez and Chuy Flores (Oct. 8), Bernardo y sus Compadres (Oct. 15), Los Texmaniacs (Oct. 22), Ruben Garza y La Nueva Era and Orlando Rodriguez (Oct. 29). Entry fee is $10, and the music starts at 6 p.m. every Sunday night. For more information on these upcoming events, you can visit https://www.facebook.com/lalomitapark?fref=ts or call La Lomita Park owner and promoter Pepe Maldonado at (956) 867-8783. >> Elida Reyna y Avante will be playing at the Outta Town Dance Hall on Oct. 14, Saturday night, in Mission. This year marks 14 years that Elida Reyna has been singing and leading the way with the group Elida y Avante. Tickets are $15 presale and $20 at the door. For more information, call (956) 584-1812. >> The legendary La Villita in San Benito has re-opened again this past summer, and is the longest lasting conjunto venue here in the Rio Grande Valley. It has opened and closed during the past couple of decades, after first establishing itself during the 1940s and going through a conjunto golden era in the 1950s and 1960s. The following acts are confirmed for the next five weeks: Jesse Flores y la Ralea Tejana (Sept. 30), Los Badd Boyz del Valle (Oct. 7), Javier y Los Latinos (Oct. 14), Ruben de la Cruz y su conjunto (Oct. 21), and Ramon Lucio y Conjunto Dominante (Oct. 28). Doors open at 7 p.m., with dances going from 8 p.m. to midnight. Cost is $10 per person. >> Legendary accordionist Eva Ybarra — who we’ve written about previously in a cover story for Festiva and who is a regular at the Narciso Martinez Cultural Arts Center — was a recipient of the National Heritage Fellowship from the National Endowment of the Arts. She received her award on Sept. 14 in Washington, D.C. For those of you interested in seeing the video that they did in showcasing Ybarra’s unique conjunto career, go to YouTube and look up: 2017 NEA Heritage Award Fellow Eva Ybarra. >> On Oct. 12, the Roma ISD Choir, Orchestra, Conjunto, Folklorico, and Mariachi students will be having a grand showcase of performances during a benefit show called “To The Gulf Coast With Love.” Tickets are $10 and will take place at the Roma ISD Performing Arts Center.